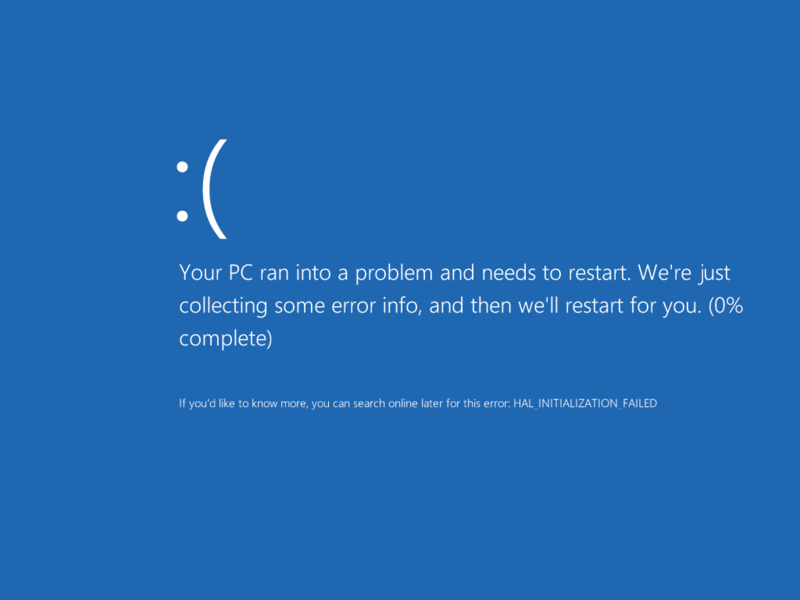 The Blue Screen of Death (also known as BSoD, Blue Screen Error, or Bluescreen), known officially as a Stop Error or a bug check, is the error screen displayed by the Microsoft Windows family of operating systems upon encountering a critical error, of a non-recoverable nature, that causes the system to crash. The term is named after the color of the screen generated by the error. In Unix-based operating systems, a similar term is kernel panic. 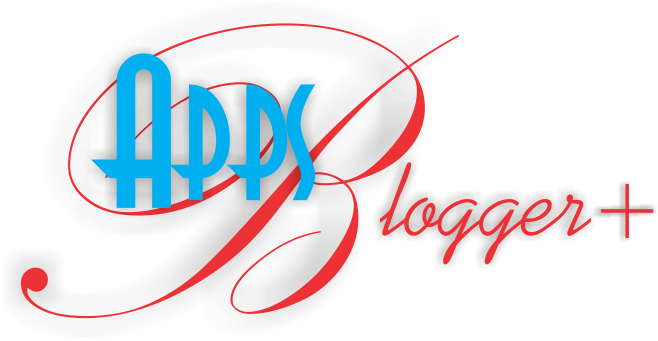 Stop errors are hardware, updates and driver related, causing the computer to stop responding in order to prevent damage to the hardware or data. In the later versions of Windows (Windows NT and later) the screen presents information for diagnostic purposes that was collected as the operating system performed a bug check. 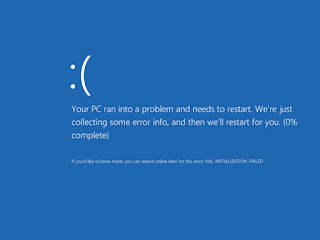 A new version of the error screen has been seen in Windows 8, released in 2012. Rather than displaying detailed technical information about the error, it simply displays a short explanation that the system needs to restart, the technical name of the error and a sad emoticon. It also contains a lighter shade of blue in the background. Technology news website Tech Crunch described the revised BSoD as 'a step in the right direction,' stating that the information provided on previous versions was unintelligible to most Windows users.